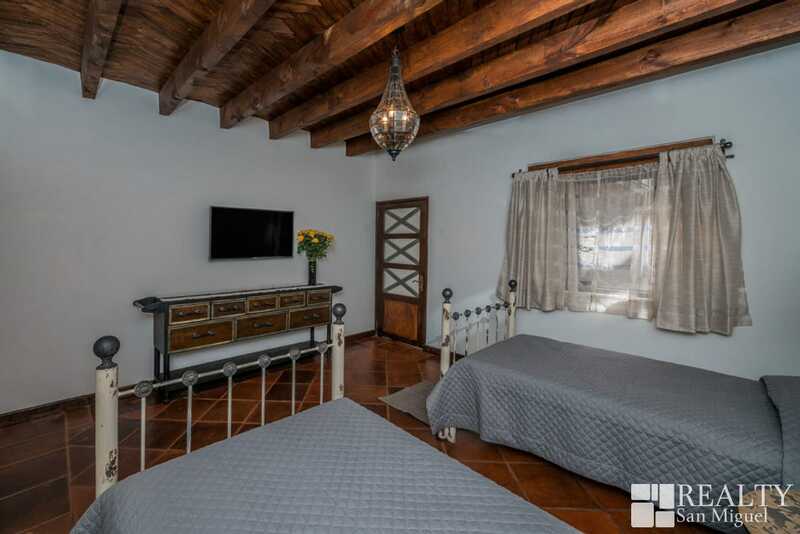 This wonderful Mexican Colonial style house, entering from the street on the first level we find a generous ground floor master bedroom with it´s full bathroom, then opens to a central internal patio with 2 fountains, next to it is the spacious open kitchen/living/dinning room featuring a large fireplace and wood beamed ceiling and an outdoor patio that gives a special touch to the back of the house, all the finished in floors are of cantera, tejamanil wood roofs and bóveda ceilings throughout the house, on the second floor are 2 bedrooms, each with its bathroom and walk-in closet, and on the third floor, two beautiful terraces, one with views to the mountains and the other one with a lovely space for outdoor entertaining with a bathroom and grill with majestic views of the city, and the magnificent San Antonio Church. 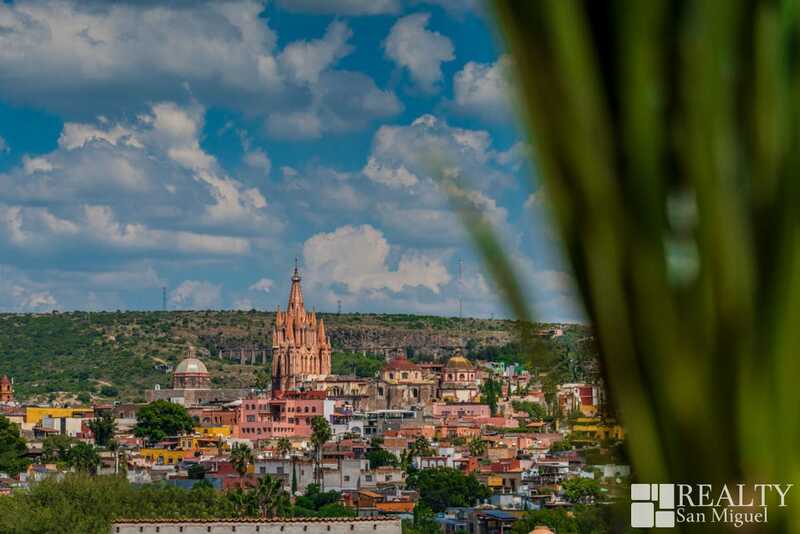 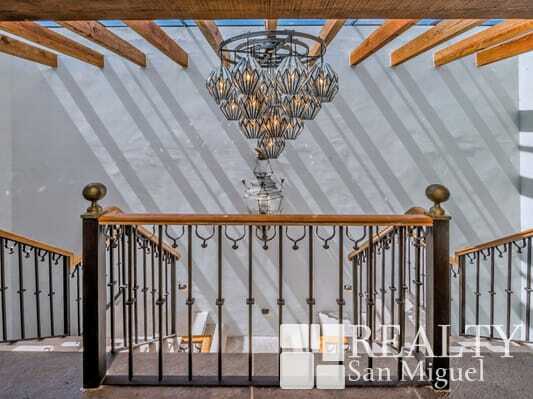 You cannot miss this opportunity to acquire the house of your dreams in San Miguel!!! 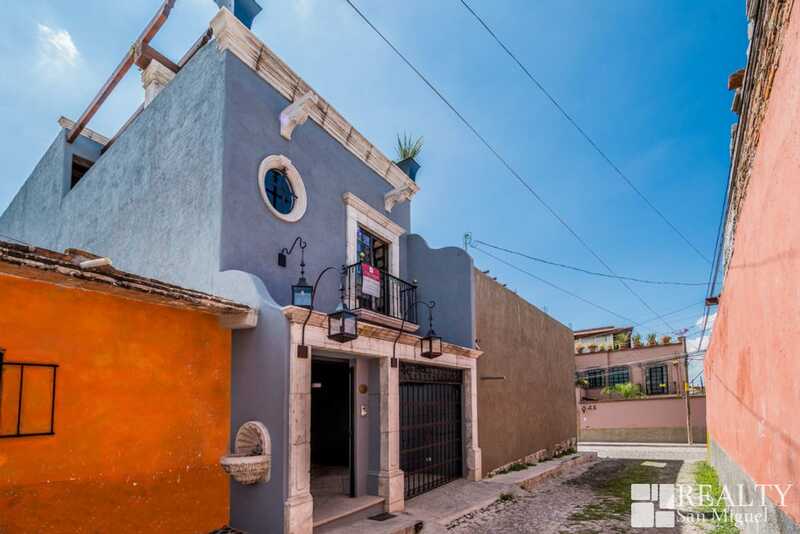 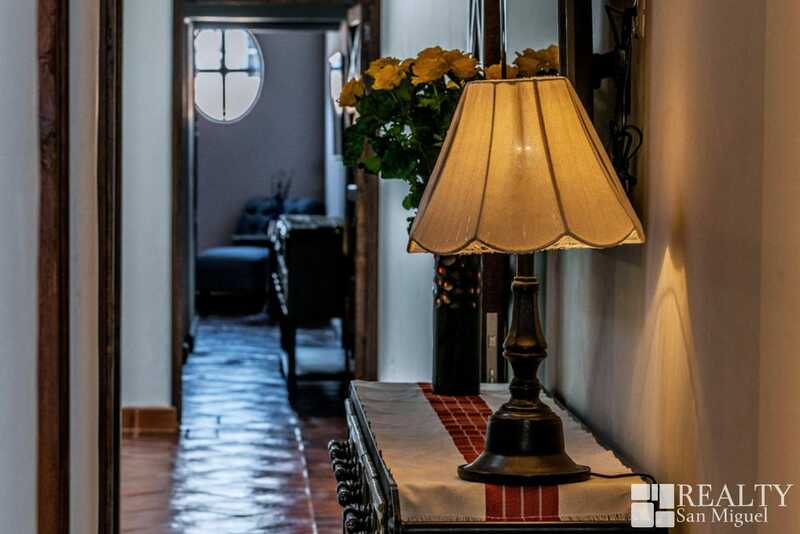 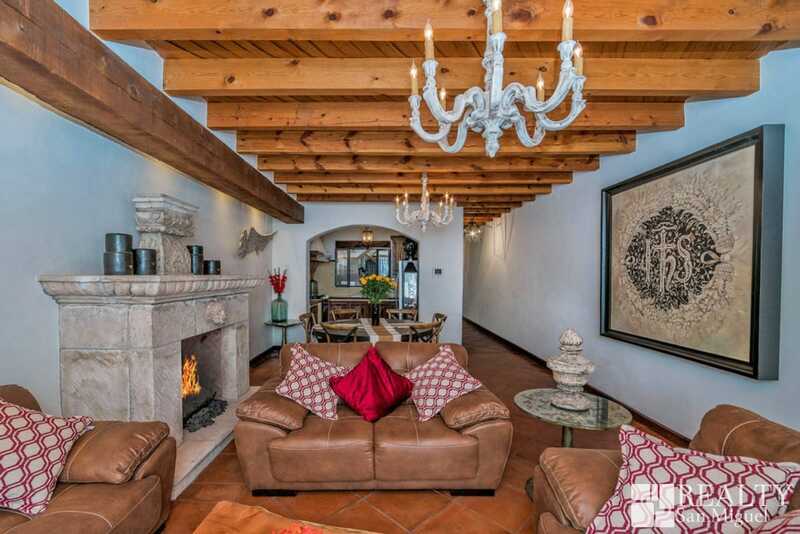 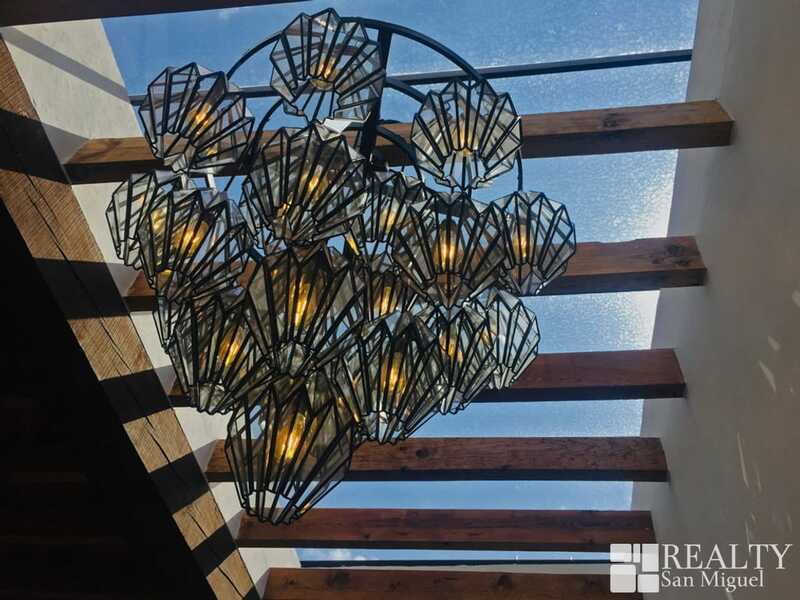 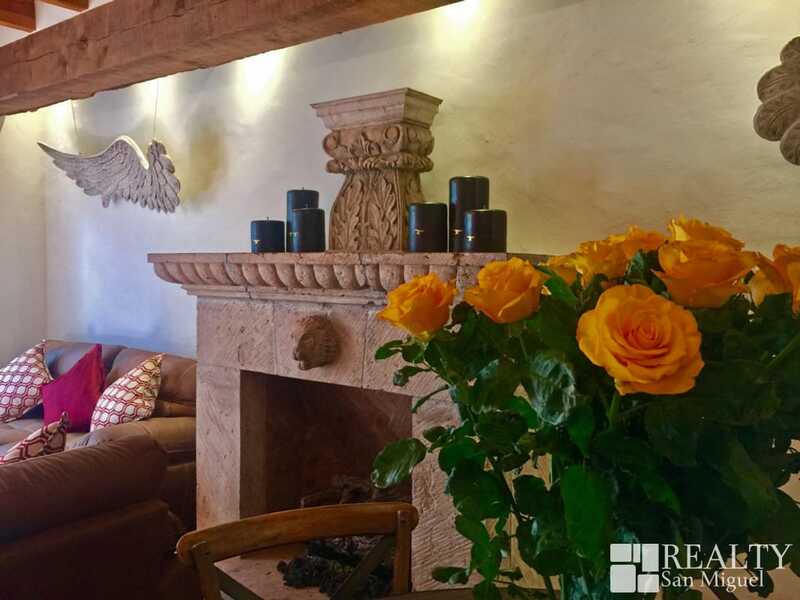 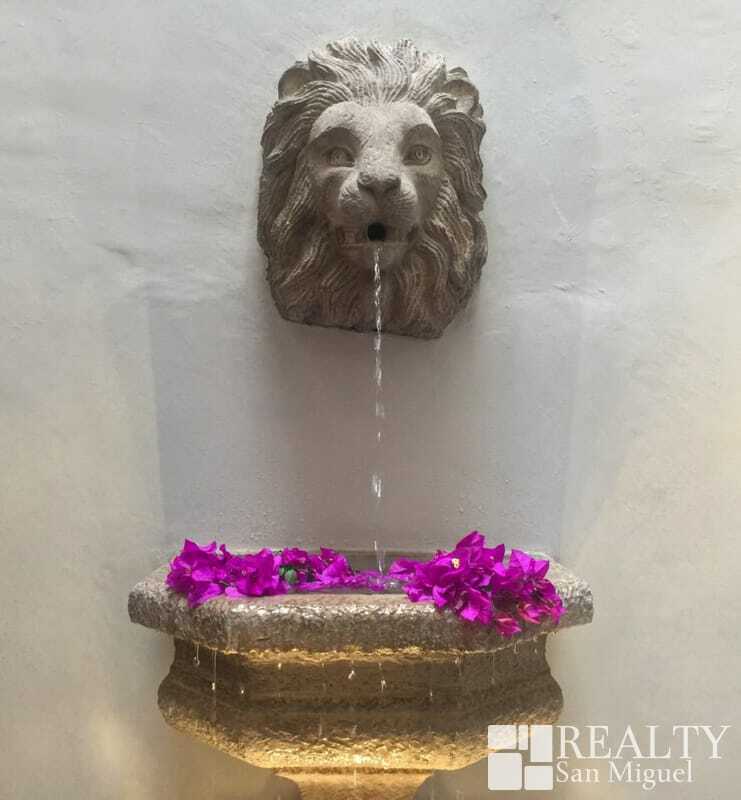 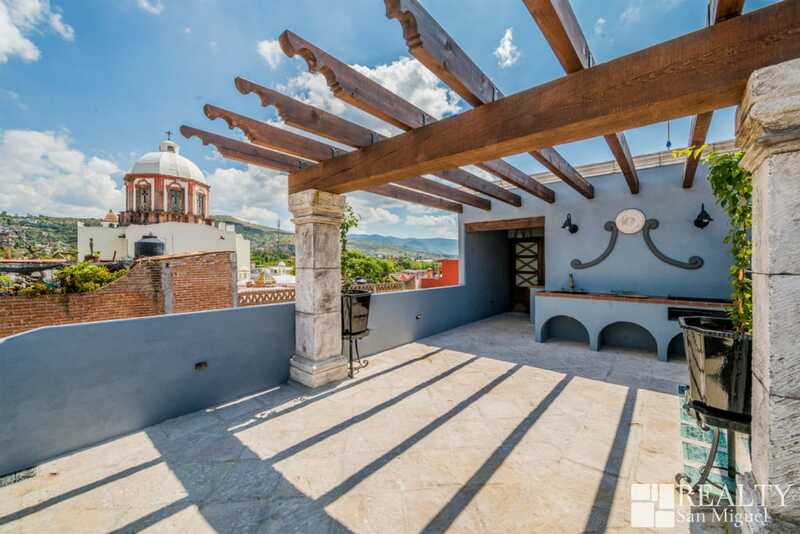 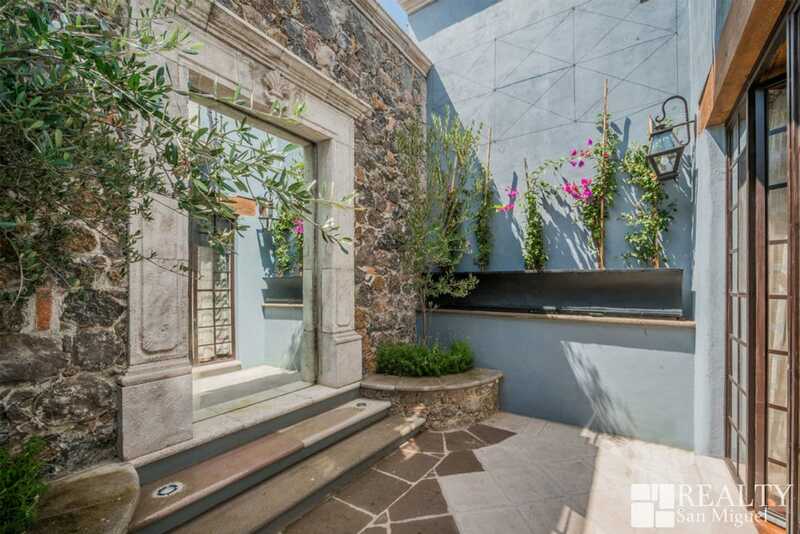 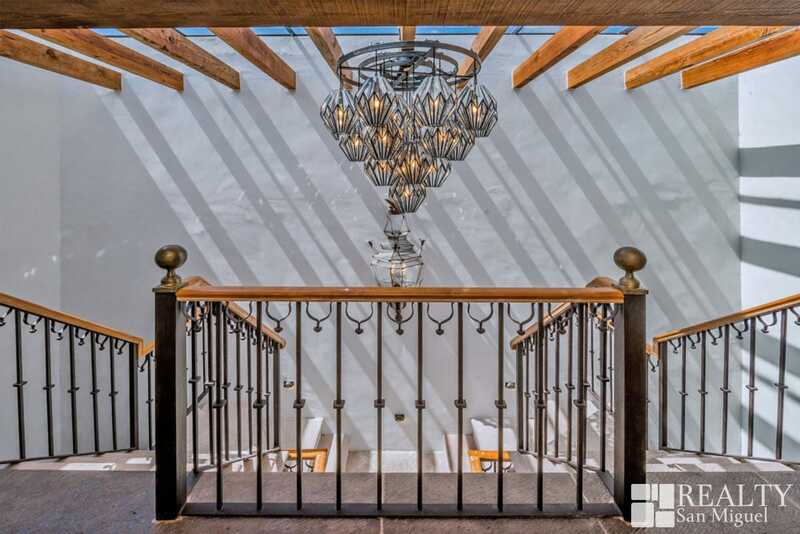 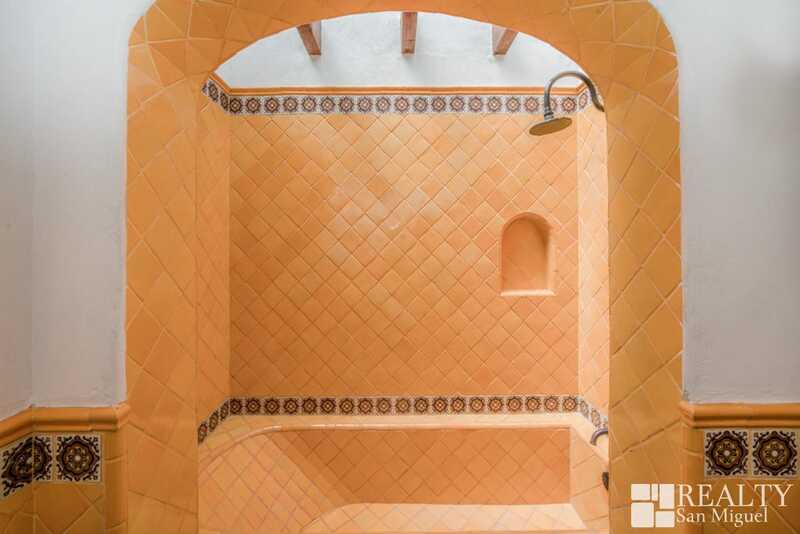 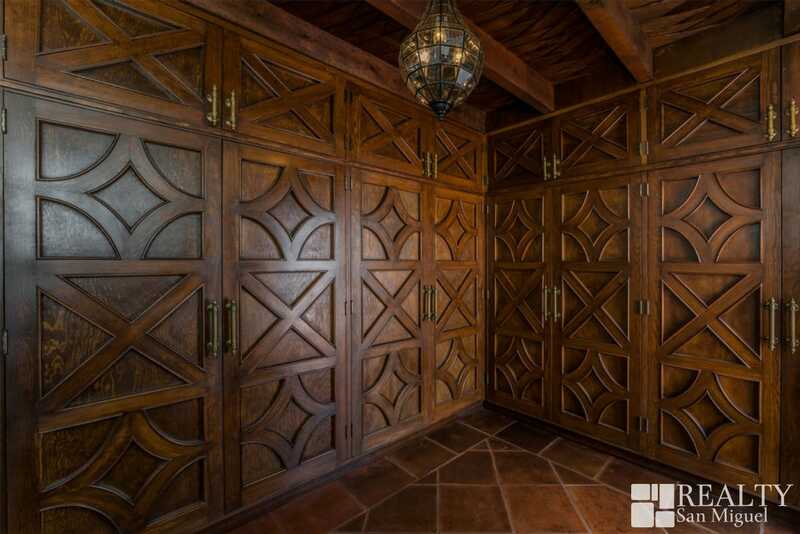 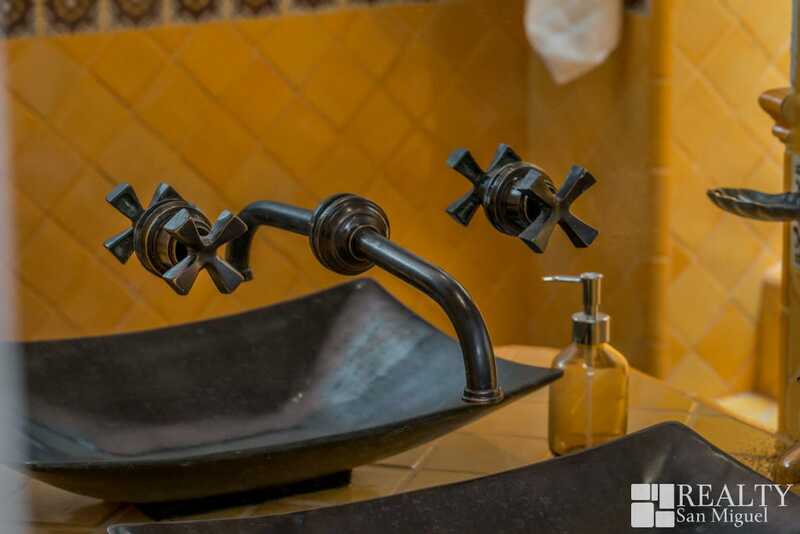 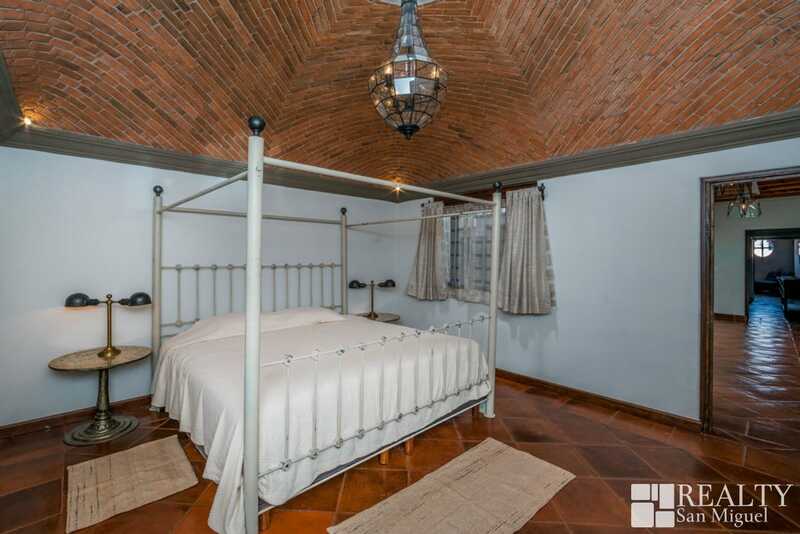 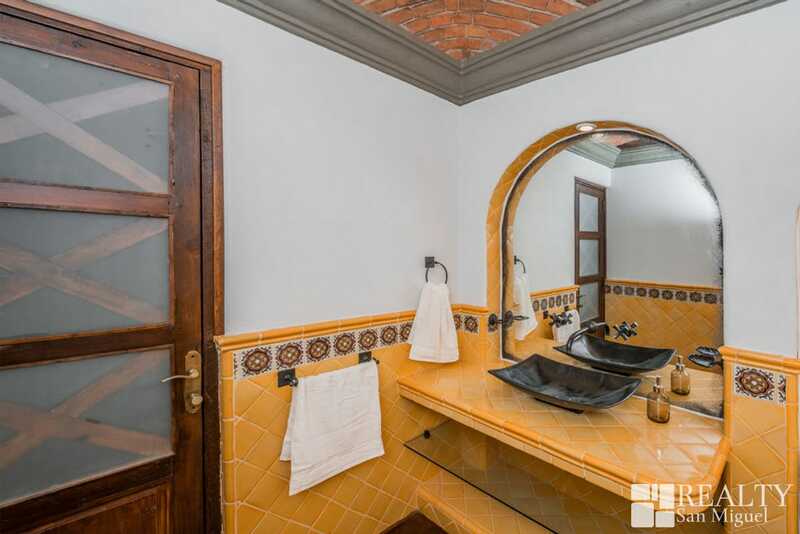 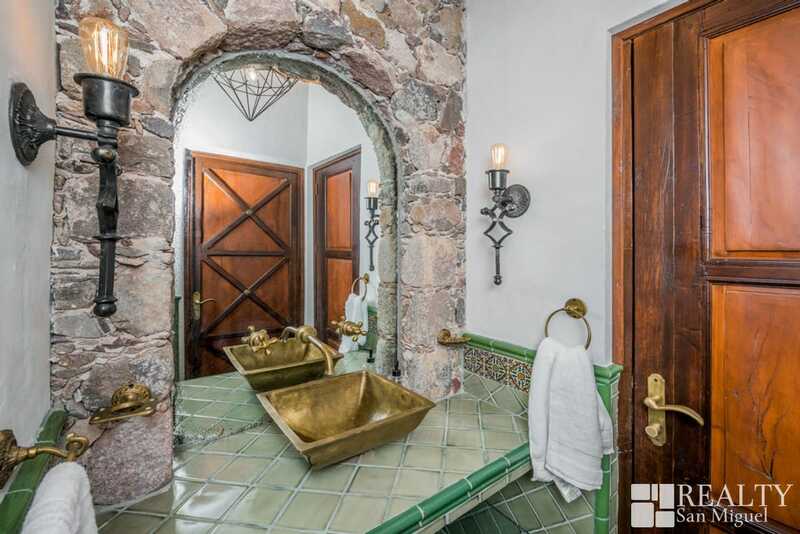 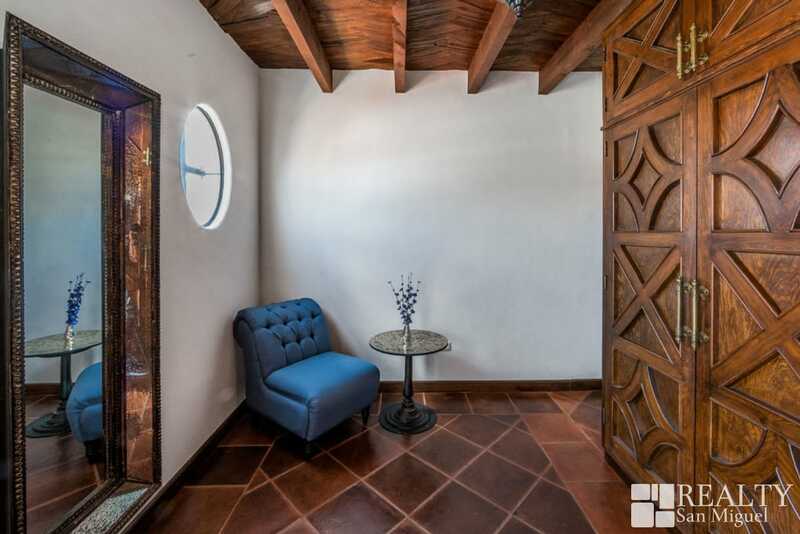 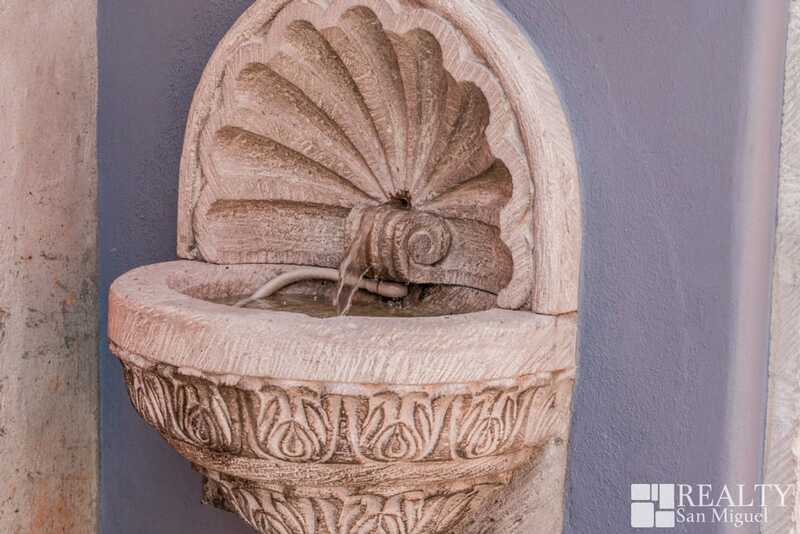 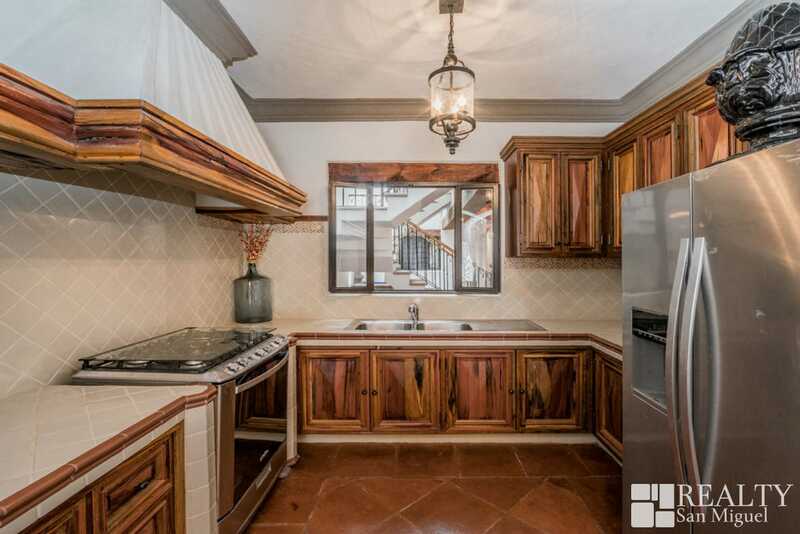 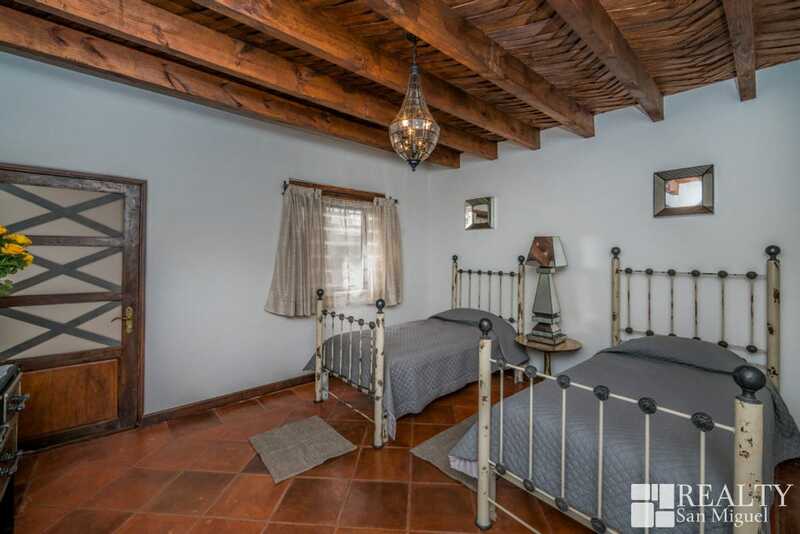 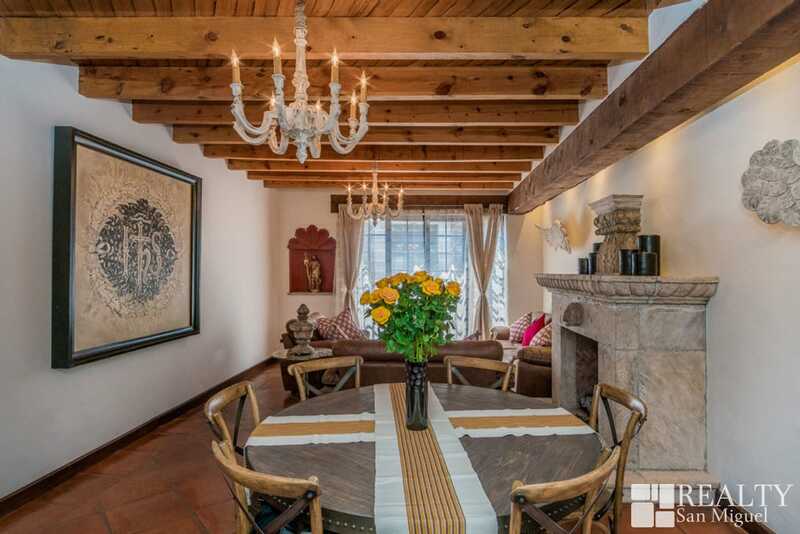 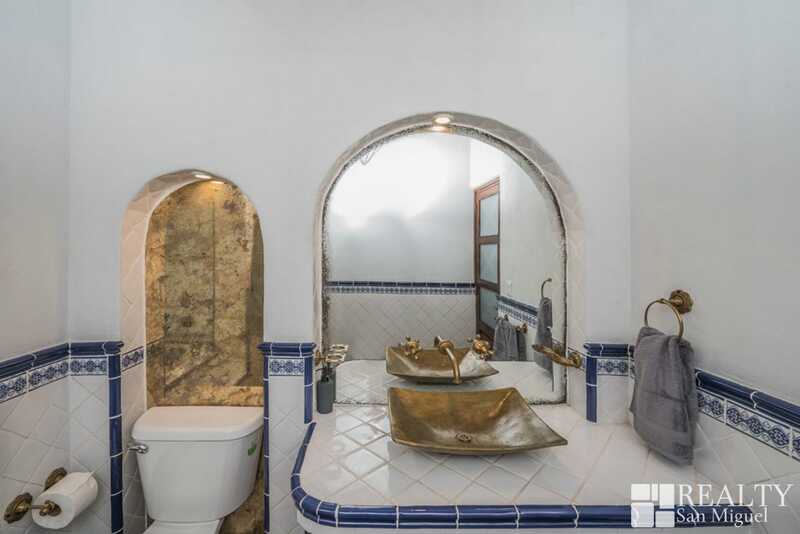 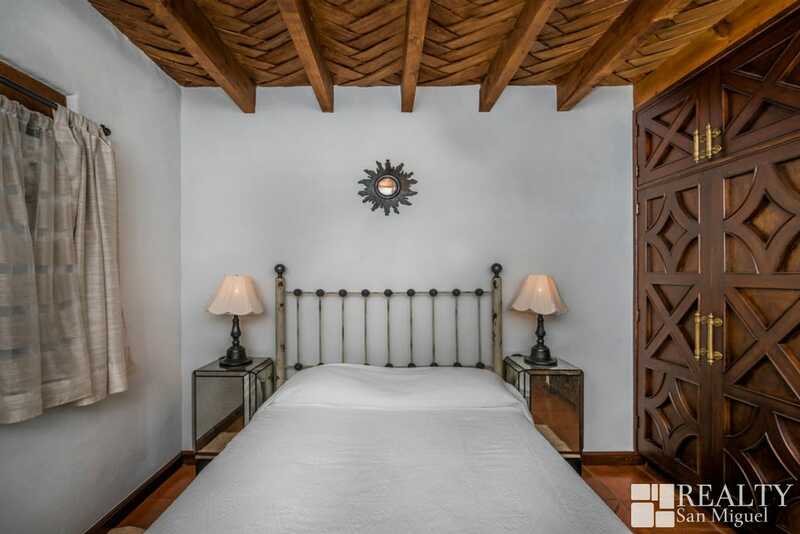 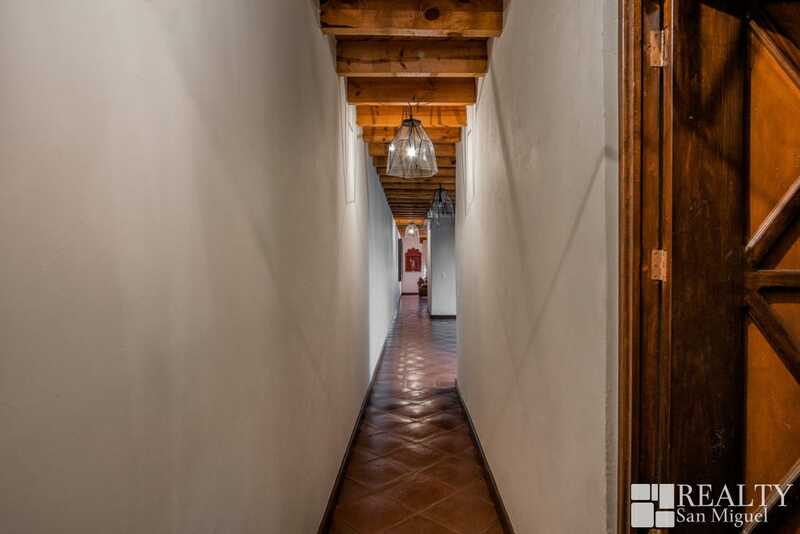 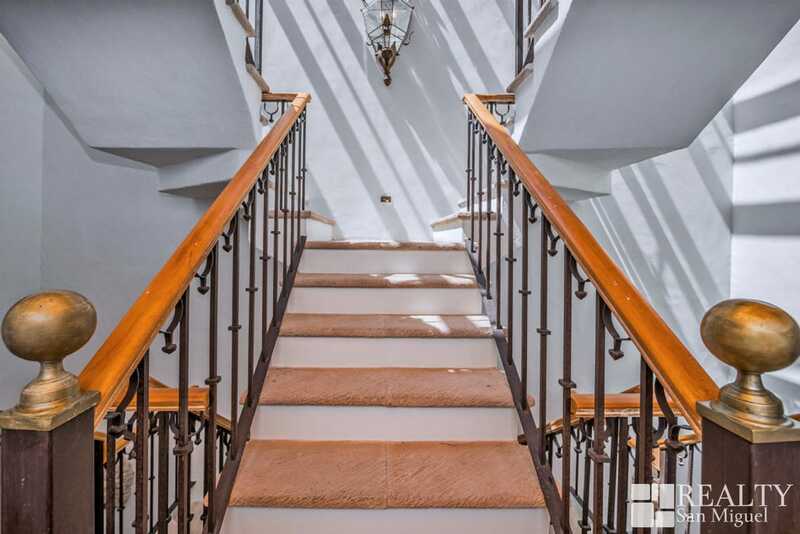 Casa de la Cúpula is offered TURNKEY totally furnished and decorated by “Casa Armida” one of the most elegant furniture and lighting design store in town, includes an electric garage, water filtration system, and alarm system as well.